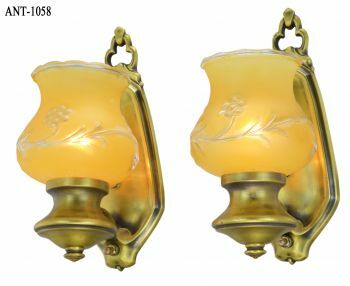 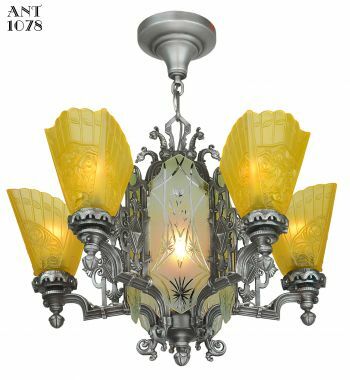 For those that insist on quality and authenticity - our recreation of the impossible-to-find 1840-1860 Neo-Rococo hall light will delight you. 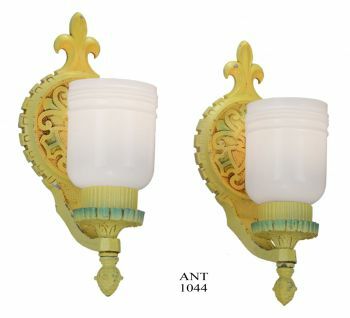 Examples are shown in a rare period catalog, but finding an original to recreate took us 18 years! 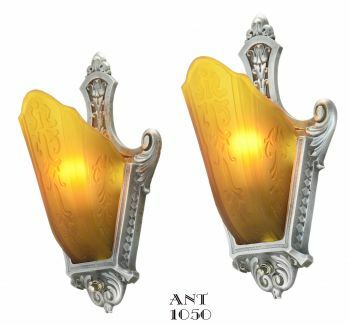 Like jewelry, it's made through lost-wax casting to keep the details crisp. 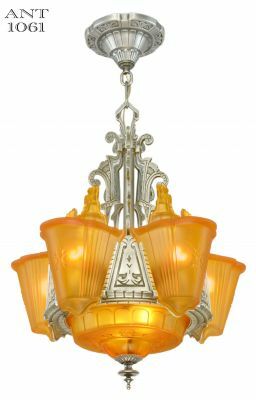 The smaller shade above is a "smoke shade", referring to the original smoky gas fixture. 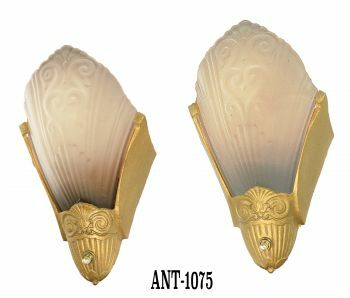 It is NOT included in our product, as these are rare. 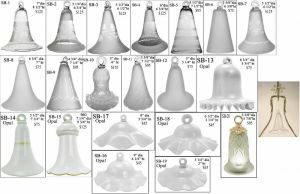 If you need a smoke bell. 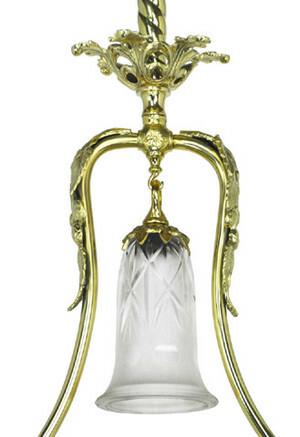 Please see our antique smoke bell collection. 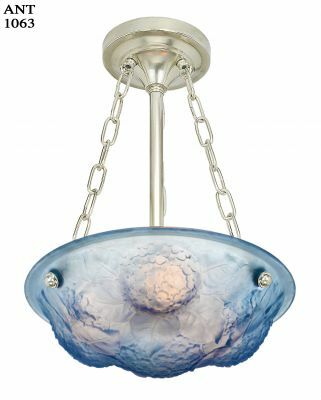 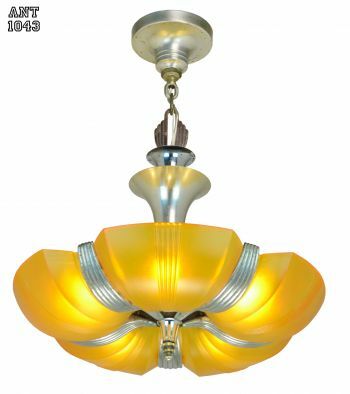 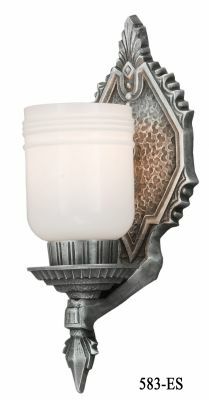 Fixture uses a 2 5/8" fitter glass shade (shown as the lower shade), sold separately. 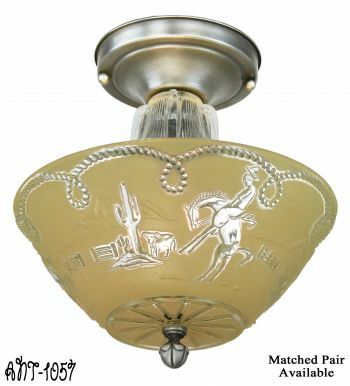 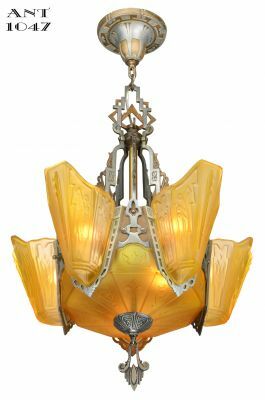 Our glass shade "wreath and fan" shade is pictured as a suggestion. 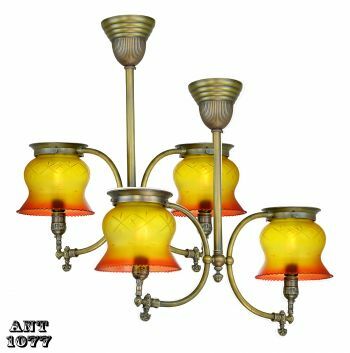 We offer 11 shades in this rare early "gas shade" fitter size. 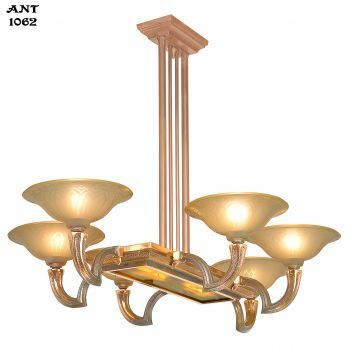 The fixture is shown in polished brass, unlacquered to age gracefully. 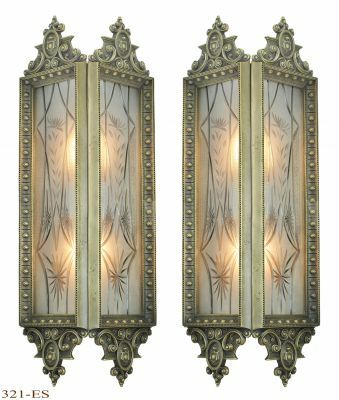 If you're trying to match hardware in an older home, choose our custom hand-finish option, an antique brass finish. 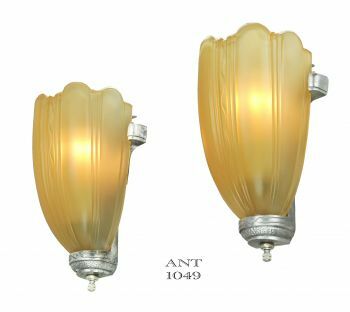 We cater to the Rococo style, a favorite of the Victorian era, and offer furniture and home hardware as well as light fixtures. 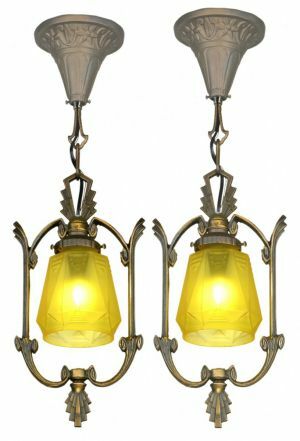 pictured here also are a few fixtures to complement this pendant, including a simple yet elegant newel post light . 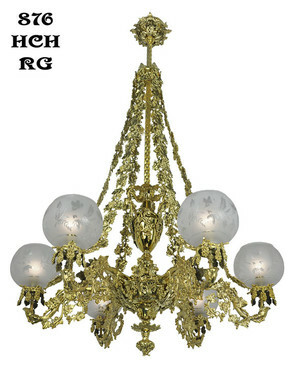 A graceful chandelier that's a favorite in our showroom is 876-HCH-RG . 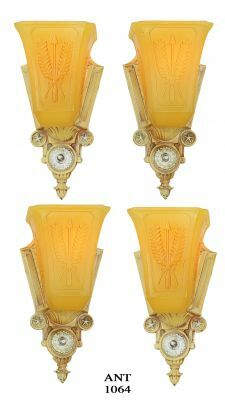 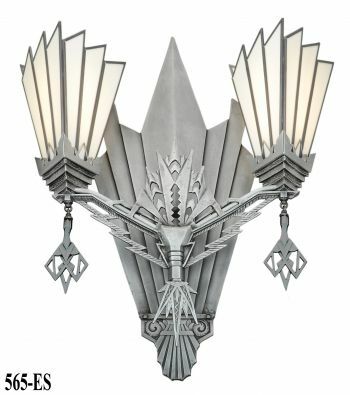 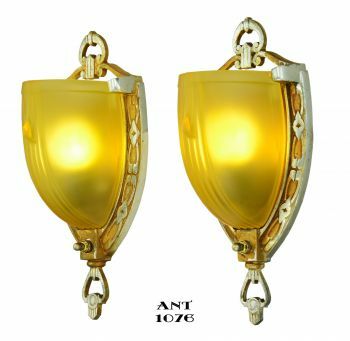 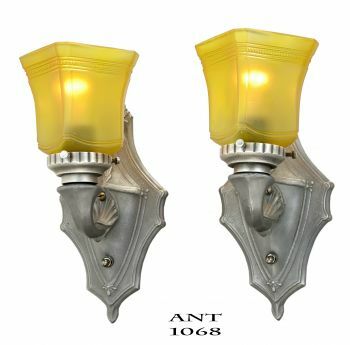 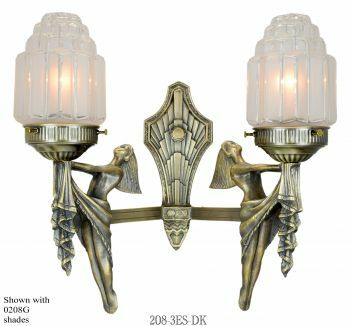 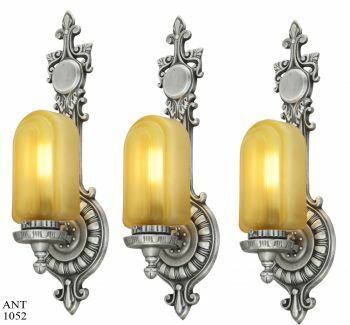 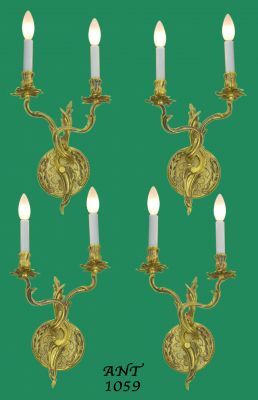 We have Rococo sconces with one, two, or three lights. 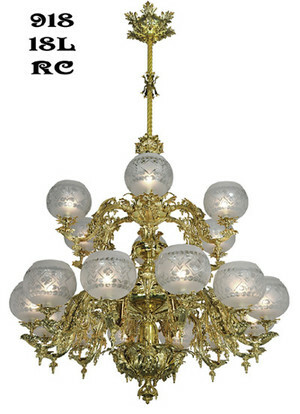 For "over the top" Rococo, see our large 918-18L-RC . 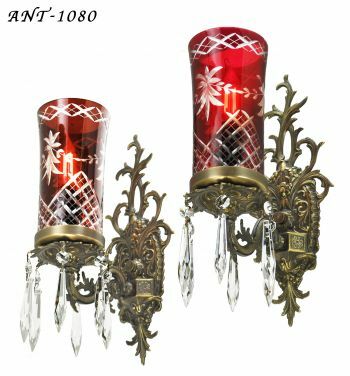 Purchase matching shades for continuity from room to room. 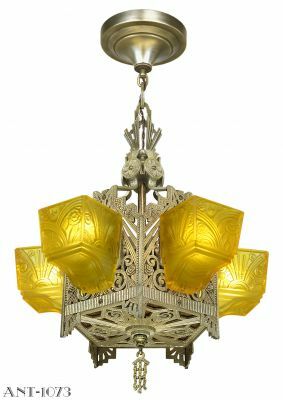 A beautifully romantic chandelier for your bedroom or dining room is the cupid center four-light chandelier. 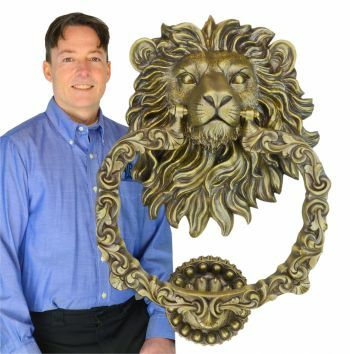 Measurements: Height: 52". 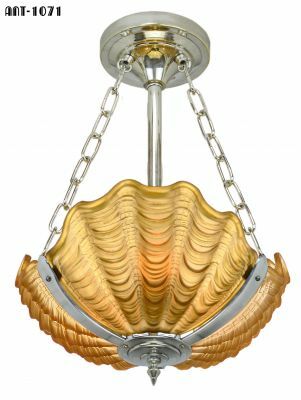 Shortest:25 ". 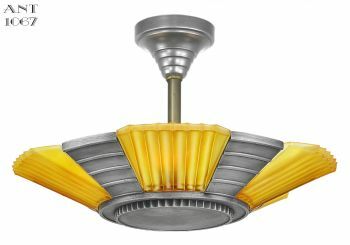 Spread is 12"